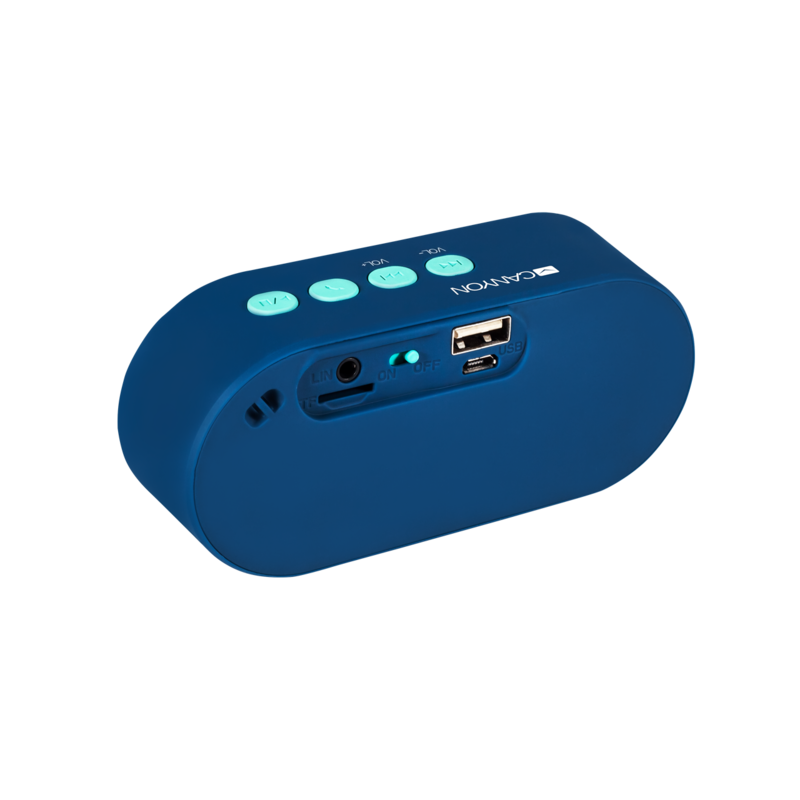 You will be amazed by the crisp, clean audio from such a compact, beautifully designed device. With a built-in mic and call management button you can receive or reject calls. 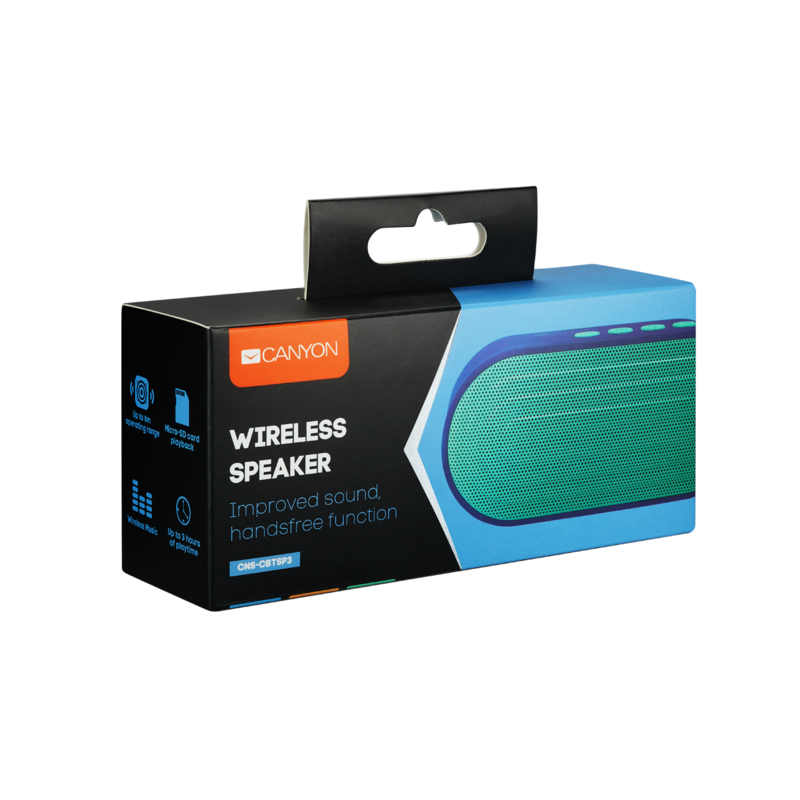 Designed for today’s mobile lifestyle, Canyon CNS-CBTSP3 wireless speaker lets you enjoy up to 8 hours of streaming on a single charge. 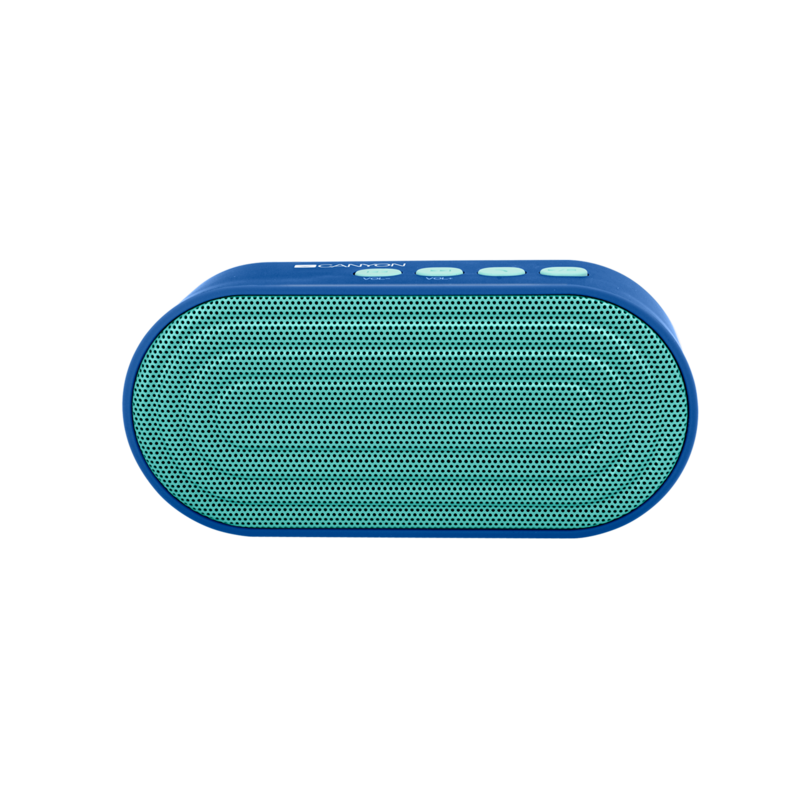 Track, Skip and Volume controls are located right on the speaker for easy access. 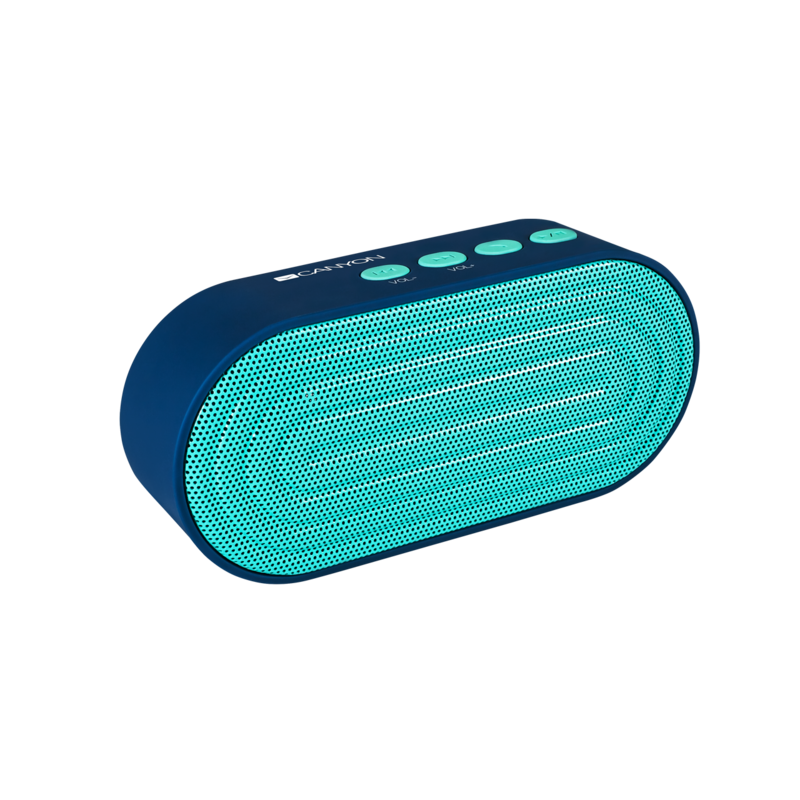 The speaker also has a built-in AUX input, Micro SD card slot and USB port for playing music from non-Bluetooth players. Ready to play wherever you go!